Totally has the same "Sloppy-Elegant" look I'm so loving right now! 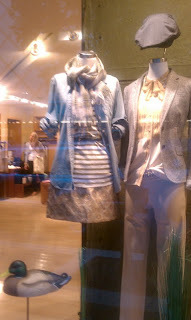 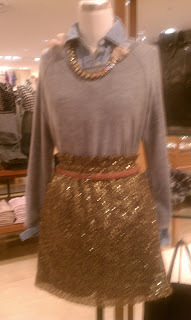 And I'm still lusting after a "warm" sequin skirt (currently this JCrew option - on the left - is not avail in my size). 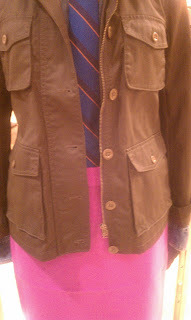 Military jacket with bright fuchsia pencil skirt...and that is a tie you see in there. Love it! 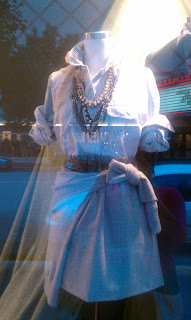 Dare I say that this is so much better than that little doggy in the window?? 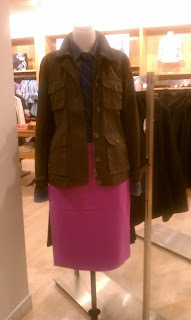 Love all these skirt and layer stylings. 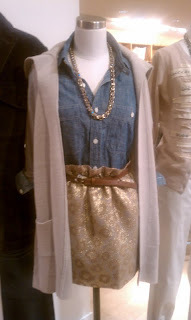 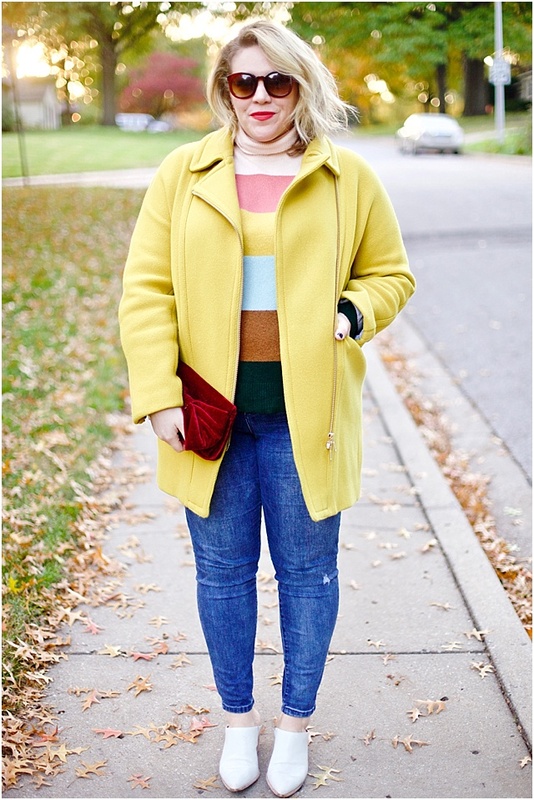 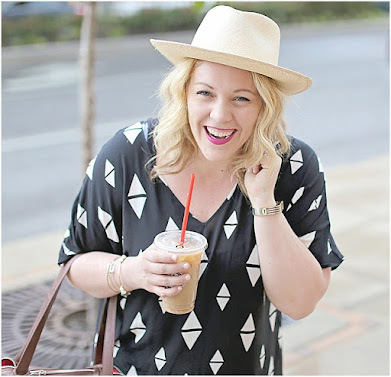 Multiple necklaces layered over a collared shirt, yes please!